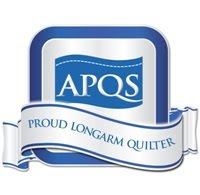 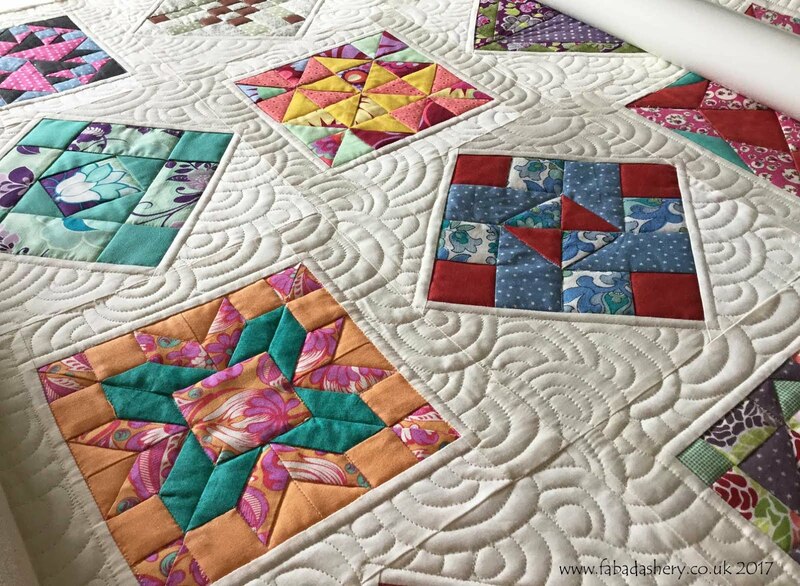 I think one of the reasons so many of us enjoy having quilts in our lives are the choice of beautiful fabrics available. 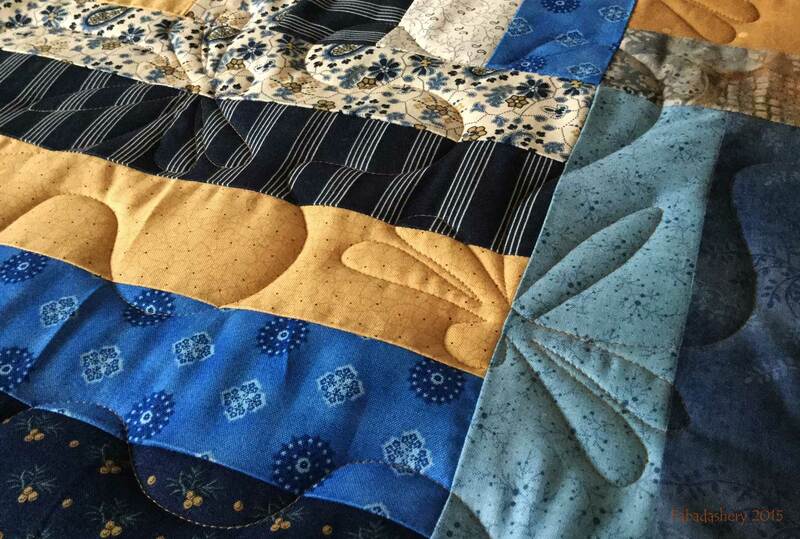 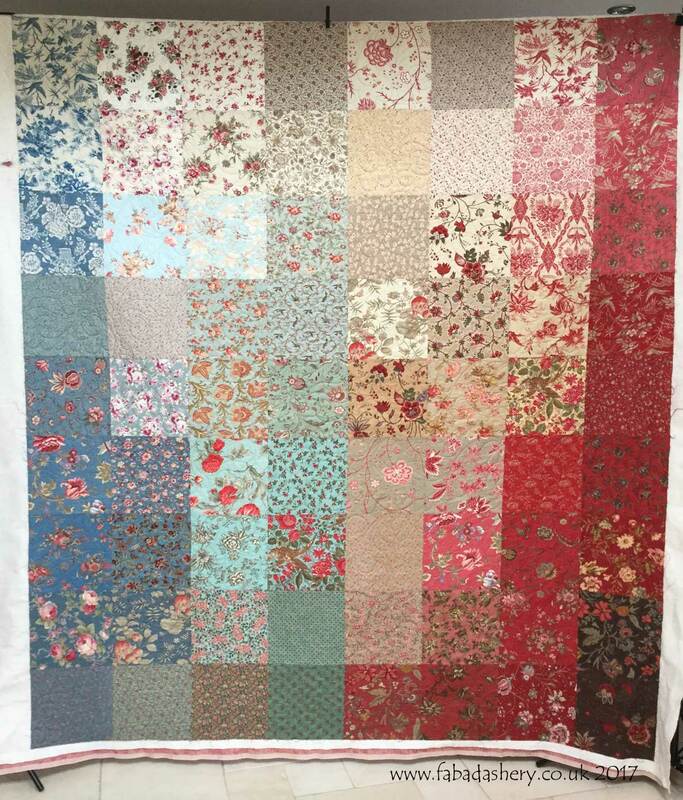 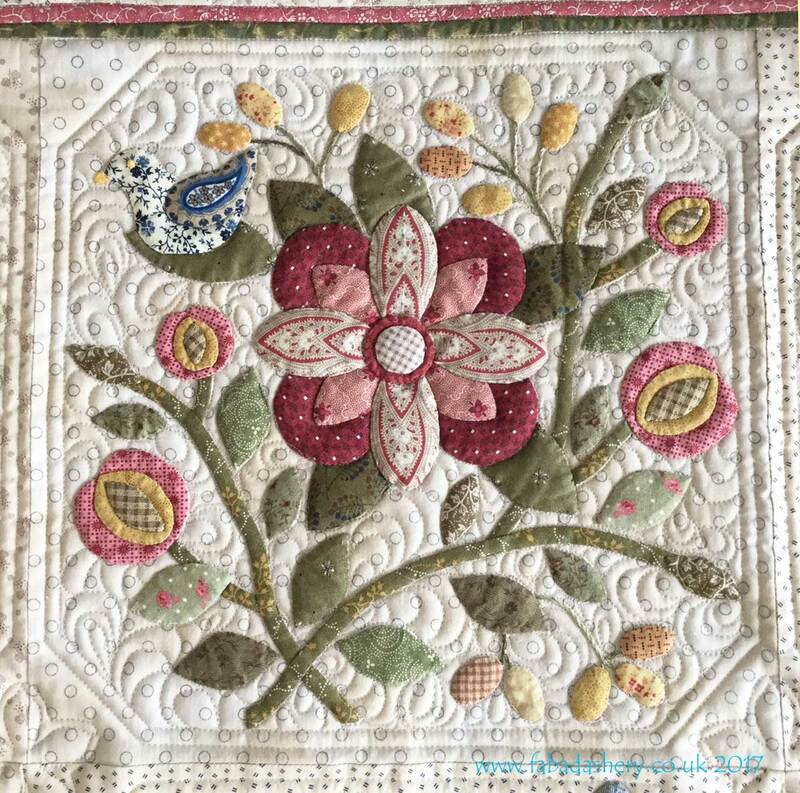 This lovely quilt is handmade by Mercedes really showcases different fabrics mainly from the French General fabric ranges. 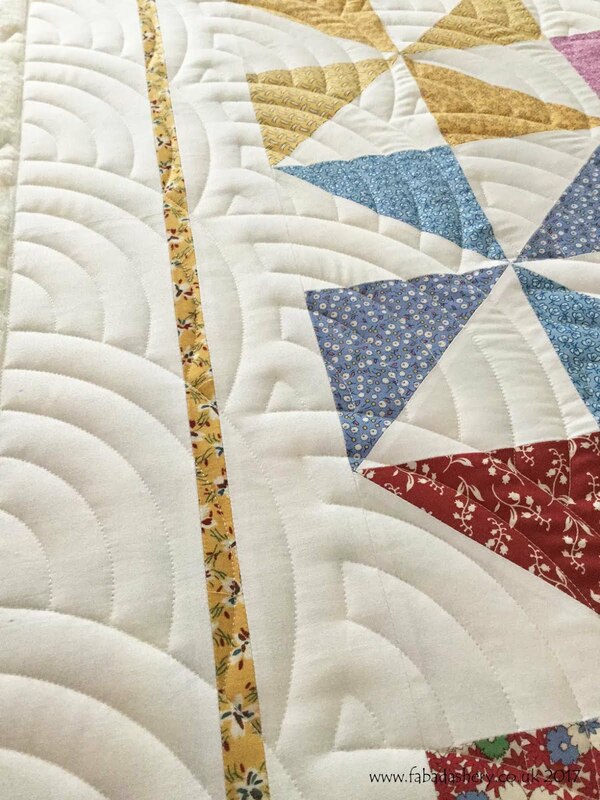 It is a large quilt which has over seventy different fabrics which blend so beautifully together, a delight to have in any home. 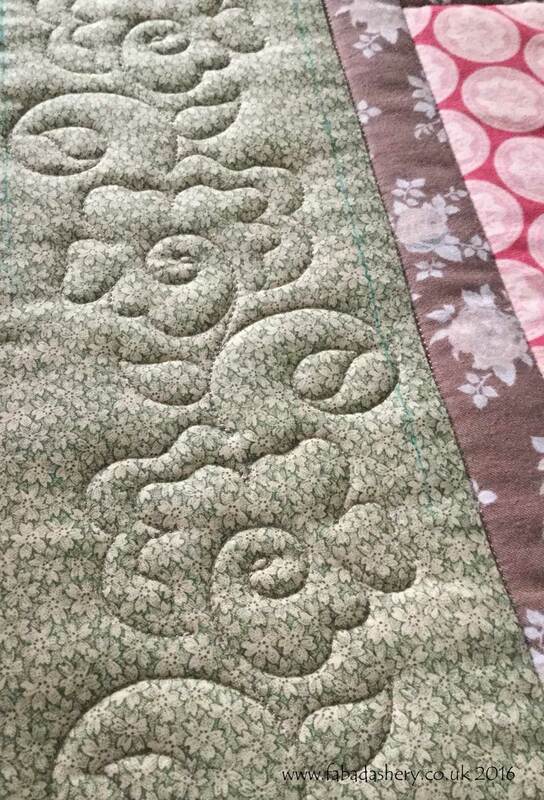 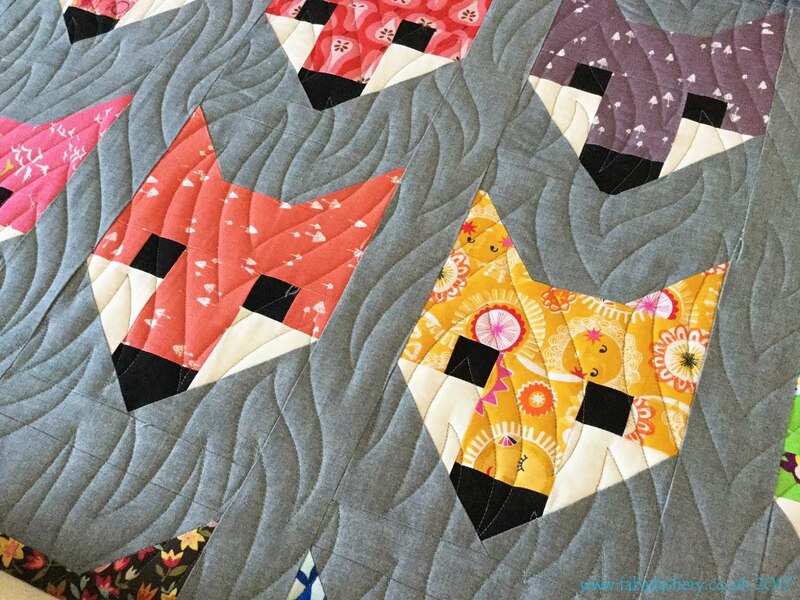 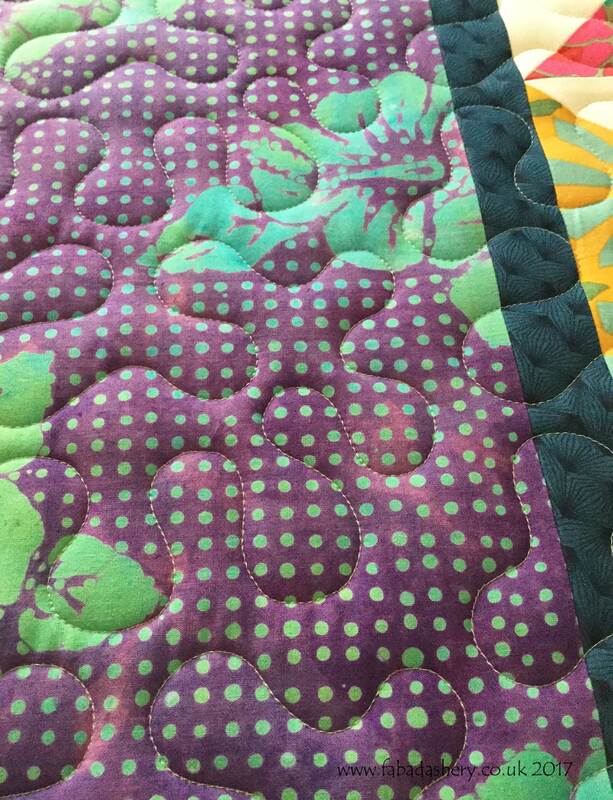 With a quilt where the fabrics blend well, an all over digital quilting design is the perfect choice. 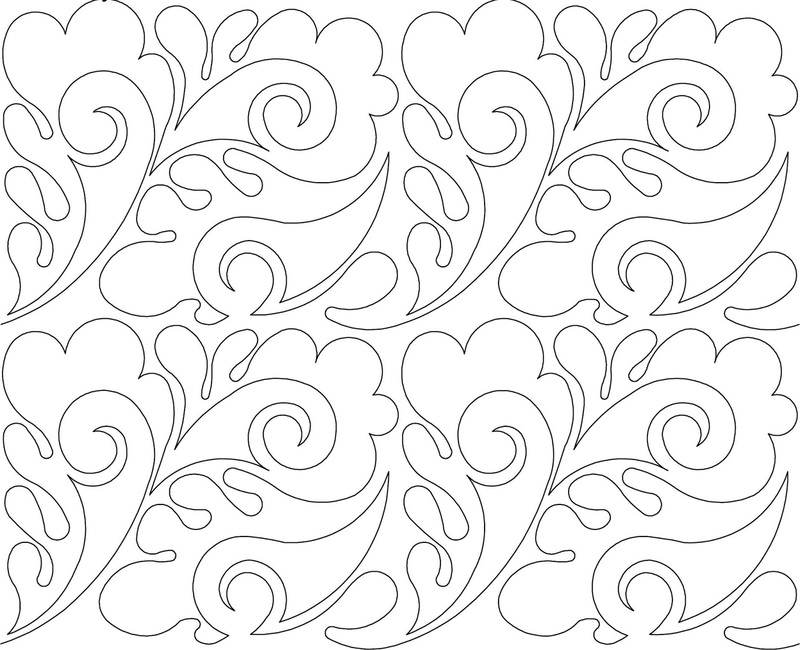 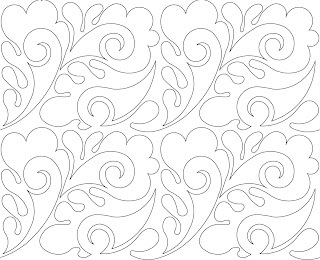 Mercedes chose this elegant 'Paisley Feather' digital pantograph designed by Anne Bright, which went well with the flourishes and floral patterns. With so many colours in the quilt, the next decision was which thread to choose. 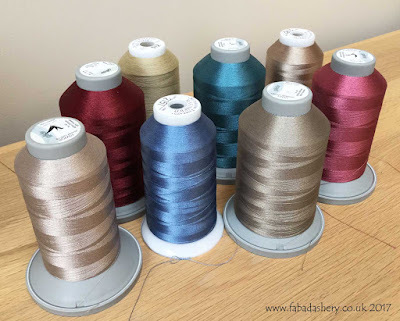 I hold a large range of different colour threads and from this selection Mercedes chose a bronze coloured thread which blended across the quilt beautifully. 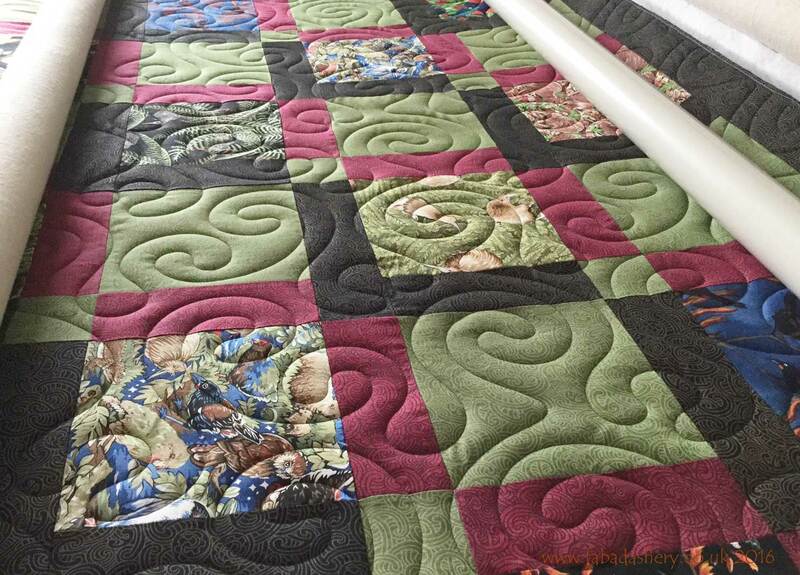 Mercedes describes her work as 'handmade designs inspired by traditional Welsh, French and Amish heritage heirlooms', and has her own business making quilts which she sells in her Etsy shop .